This is the beginning of a new era in system supplies! 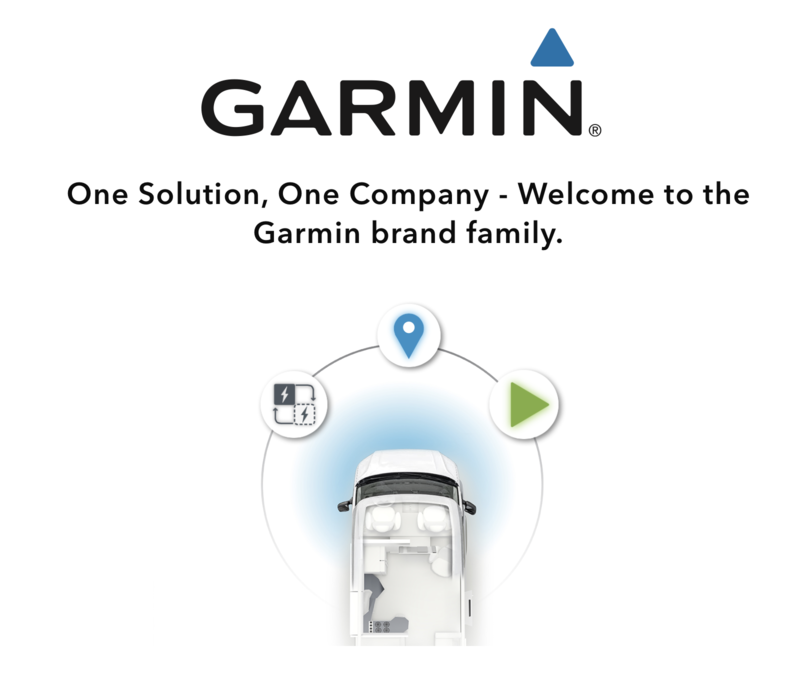 One Solution, One Company - Welcome to the Garmin brand family! There are a lot of things you can do with EmpirBus Studio and EmpirBus Graphic. Sometimes you may need assistance? If needed, check out the FAQ, Tutorials and Video Guides on our Support page. Feel free to contact us if there is something else you need! Empirbus NXT DCM is based on more than 10 years experience in power distribution using Digital Switching. We have used our longterm experience, together with the feedback from our customers and then added our own innovative ideas. 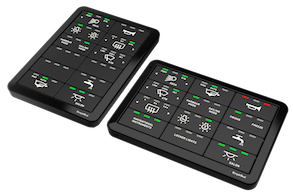 EmpirBus NXT DCM provides all features and functionality from the EmpirBus CLC system, added with lot of unique and new possibilities. We have used our long term experience, together with the feedback from our customers and then added our own innovative ideas. EmpirBus NXT DCM provides all features and functionality from the EmpirBus CLC system, added with a lot of unique and new possibilities. advanced motor control reversible polarity functionality. multiple function channels saves installation time, money and space! 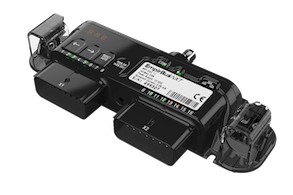 Empirbus Connect 50 is a new version of the NXT DCM designed for smaller or less complex installations. The durability and competence from the NXT DCM has been used to develop a unit that delivers outstanding cost/channel ratio - without leaving important & useful functionality behind! 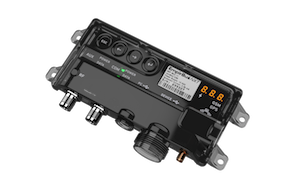 The EmpirBus NXT Master Control Unit is an essential component of a larger NXT installation, providing multiple functions. 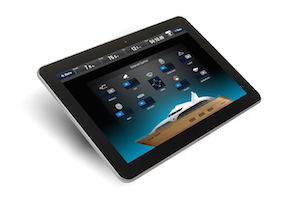 It is the central processor that drives the system, provides the computing power, intelligence and decision making. In addition there are various interfaces for connection to external devices and a remote control port. EmpirBus SP12 is a 12x2 way digital switch component for the EmpirBus NXT control, monitoring and distribution system. SP12 is used to provide control inputs to the system via the switches and status information back to the user by the individual LED indicators. An integrated audible warning device provides both operator feedback on key press and should an alarm condition arise an audible warning. Fitting the unit is simple it may be fitted to any flat surface. The SP12 is intended to be fitted internally and operates from -20 to +70C. EmpirBus 8BP is a 8 way digital switch component for the EmpirBus NXT control, monitoring and distribution system. 8BP is used to provide control inputs to the system via the switches and status information back to the user by the individual LED indicators. An integrated audible warning device provides both operator feedback on key press and should an alarm condition arise an audible warning. Fitting the unit is simple using the supplied template and it may be fitted to any flat surface up to 20mm deep. 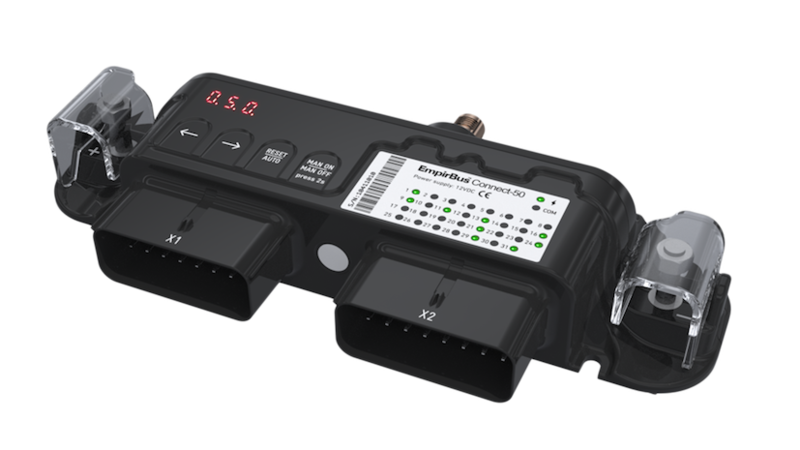 The 8BP may be fitted internally or externally, when fitted externally the 8BP is waterproof from the front, is UV stable and operates from -20 to +70 deg C.
EmpirBus SP8 is a 8 way digital switch component for the EmpirBus control, monitoring and distribution system. 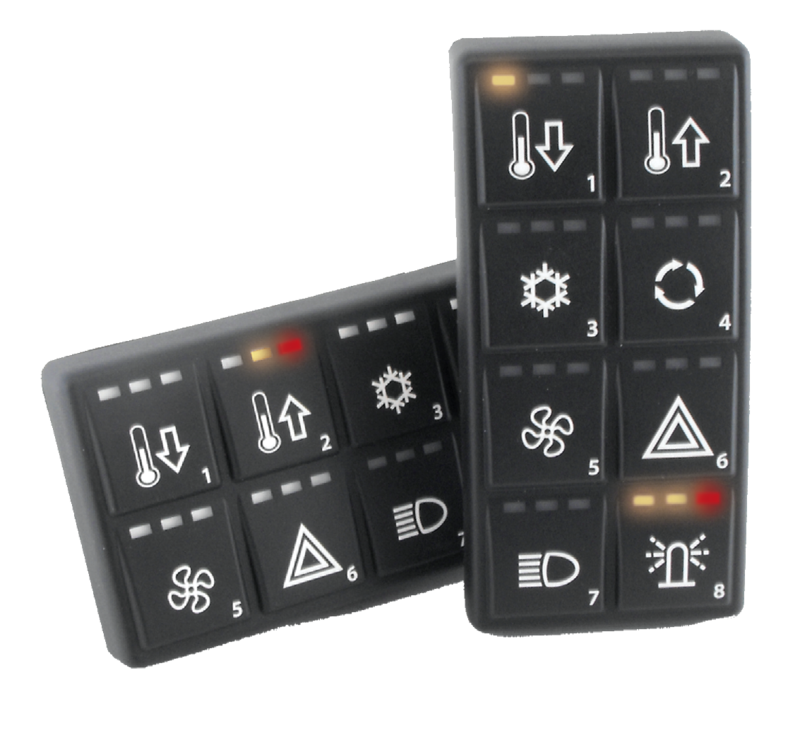 SP8 is used to provide control inputs to the system via the switches and status information back to the user by the individual LED indicators. Available as vertical (portrait) or horizontal (landspace). Fitting the unit is simple using the supplied template and it may be fitted to any flat surface up to 20mm deep. 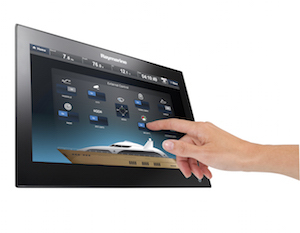 The SP8 may be fitted internally or externally, when fitted externally the SP8 is waterproof from the front, is UV stable and operates from -20 to +70 deg C.
EmpirBus NXT is fully integrated with Raymarine Multi Functional Displays and is the link between the screen and controlling your electrical system. 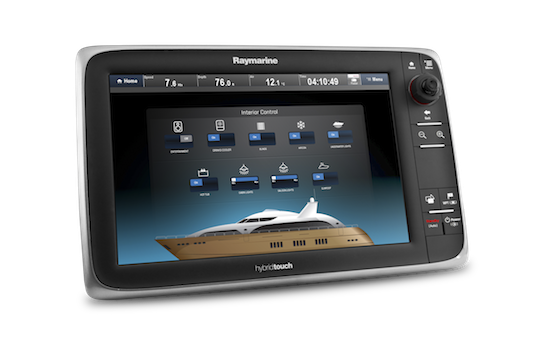 EmpirBus is Raymarines exclusive integration partner for Digital Switching. EmpirBus Studio is used to program any EmpirBus products. A powerful graphic programing tool that will set all functionality and features of your system. Requirement: Latest version, Windows 7 or higher. For Windows XP/Vista contact EmpirBus support for additional information. Please contact support@empirbus.com to get EmpirBus Studio software. Link to TeamViewer used by EmpirBus support. EmpirBus Graphic is used to adapt an EmpirBus configuration to a Raymarine MFD. The software provides features for designing digital switching pages, more or less without limitations. Quick and easy access to the most frequently asked questions. We will continuously add useful information to assist your work with EmpirBus products. -Is the NMEA2000 connector properly fitted to the unit? -Do you have power on the NMEA2000 backbone? -Is the NMEA2000 backbone is properly terminated? Unit does not have any connection with the network, check the NMEA2000 network. -Check NMEA2000 termination. The network shall have two terminators installed. To be certain you can power OFF the system and measure OHM between pin 4 and 5 (standard Micro C connector). A proper terminated network has 60 Ohm (two 120 Ohm terminator in parallell). The display on the DCM or MCU switches from ID number and a Code? Check ‘Code explanation DCM & MCU’ documentation for more information. A system with only DCM modules only one can be master, the unit that switches between ID number and CUA is programmed as master. If you have an MCU in the system, that one is naturally master in the system. A rare case can occur if you have replaced a DCM with another DCM unit that previously has been programmed as master. The unit will stay acting as a master even if re-programmed. This can be seen this when the units are power-cycled, the unit still acting as master takes longer time to power up. To remove master mode from a unit you need the program it with an empty configuration file. The polarity on the power cables are shifted (plus/minus). Check that the NMEA2000 network is properly terminated/connected and powered. If the option is greyed out there is a master unit missing in the configuration file. Update configuration. Check that all the units have the latest firmware by performing a firmware upgrade. If the system has firmware that has not been updated for a long time there might be a need for several retries before the firmware upgrade is successful. If you have an MCU in the system -start upgrading that units first. Select the master unit separately and perform the upgrade. The units are still in bootloader mode during a cancelled or failed upgrade of firmware. Try to upgrade the unit again through Empirbus studio. -Check connections and that the resistors are attached and OK.
-Check that the correct type of resistors are attached: 68 ohm if its a multi-switch and 120 ohm if it’s a dual fixed multi-switch. -Check the input channel that the LED turns green when the button in pressed. Note: only pulse breakers will work with a multi-switch input channel. -If it’s a new config please check that you have the correct fuse setting on the channel. -The unit attached to the output channel consumes to much power/current. -Check that all units have power and COM led flashes green. -Upgrade MCU to latest firmware, followed by the rest of the units in the system. -Access P10 on your MCU: Hold ‘enter’ for approx. 10 sec until P10 appears (a beep sound shall be heard during the whole process). Release and press enter one time. -Copying is done in the P10 menu of the MCU. Copy function 1 (CF1) copies from DCM to MCU and copy function 2 (CF2) from MCU to DCM. Number 2 is to be used in this case as you’d like to copy from MCU to DCM. -Verify that the MCU (and/or DCM) doesn’t say ‘EoA’ before copying as this indicates that there is an existing conflict of stored switches and a decision has to be made what set of switches to use. -Press button 8 three times, now a number will be displayed instead also flashing, this is the base address. -Use the button 5 and 6 to step down and up the base address. -When the new base address have been set press and hold button 7 again for about 20 seconds to store. Indication on button 1 is 0 or 1, 0 when off and 1 when lit. Indication on button 2 is 0 or 2, 0 when off and 2 when lit. Indication on button 3 is 0 or 4, 0 when off and 4 when lit. Indication on button 4 is 0 or 8, 0 when off and 8 when lit. Indication on button 5 is 0 or 16, 0 when off and 16 when lit. Indication on button 6 is 0 or 32, 0 when off and 32 when lit. Indication on button 7 is 0 or 64, 0 when off and 64 when lit. Indication on button 8 is 0 or 128, 0 when off and 128 when lit. The base address will be the sum of the indicators lit up. For Example, if Indication on Button 1 + Button 3 => Address is 1+4 = 5. The system halts/delays and behaves erratic/strange? Fuse settings, channel support on your unit (example: an input channel has been programmed as an output channel), specific channel support under it’s properties. -Check that the system doesn’t have two masters. The fuse has tripped, please reset directly on the uni. See manual for resetting fuse. If you control the system with an Raymarine MFD you can reset fuses from the meny ‘tripped circuits’. Follow the guide found on the ‘support’ page for installing wipers/diodes. IMPORTANT!!! Caution shall be taken during this process due to a major risk of damaging the mechanical buttons on the panel. Damaged SP12 panels as a result of button removal will NOT be covered by warranty. 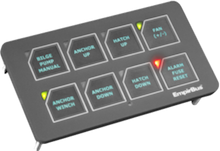 The settings of SP12 panel termination shall be decided and done before the buttons are attached. If you are expanding the network please follow the steps below. -The button numbers follows from left to right and begins with 1 at the top left corner. -The termination switch is placed under button 8 on the portrait model and under button 5 on the landscape model. -On the PCB you will find a microswitch with the numbers 1 and 2. These are the two terminators you can set to ON or OFF (activate/deactivate). With an expanded network above 6 meter one of the above shall be ON and the other termination placed at the other end of the NMEA2000 network. Alternatively you can set them both to OFF and have the two terminators placed separately in the NMEA2000 backbone. Follow the guide found on the ‘support’ page for EmpirBus Studio. 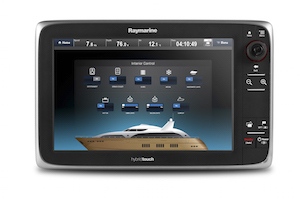 Follow the guide found on the ‘support’ page for installing RMDS files on the Raymarine MFD. This support section covers various sections of EmpirBus product management. Guides to software, installation manuals and contact details to our support. assist the management of EmpirBus products. Link to EmpirBus CLC documentation and software. EmpirBus is a generically designed system, suitable for different application areas - with almost endless integration possibilities. Long experience from demanding installations in marine environments proves the durability and robustness. Vehicle installations shows the flexibility, along with efficiency in use of space and reduced installation time. Industrial applications for logic capacity and connectivity, all in a very compact unit. 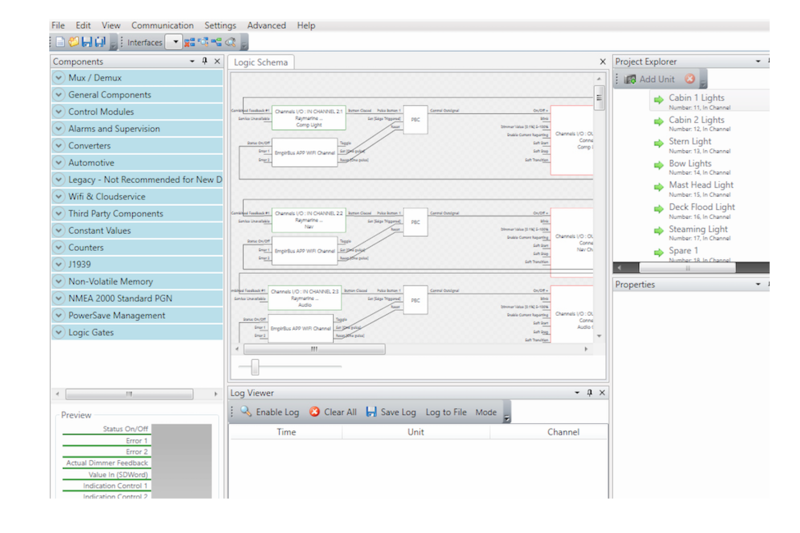 2016-03-01 - EmpirBus new DC-module, Connect 50, released! 2015-11-17 - A new website is launched. Garmin Sweden Technologies AB is a company who delivers innovative and intelligent products, solutions and services in the areas of embedded systems, power supply and power distribution. Our products are distributed by our network of selected partners. Find your nearest distributing partner in the list. If you have an interest in becoming an EmpirBus partner, please contact us. The most effective way to do this is to disable cookies in your browser. You can opt-out here if you wish. Function: Sets wether or not the user has accepted or rejected the cookie notice. If you wish to Opt-out and delete your cookies or block specifik cookies, there are several ways to do so. The fastest and best way is to do so via your broser settings. Read more on how to do that here . Accept or reject cookie consent. You can withdraw your consent at any time. The delete button will reset the cookie for the consent, if given. You would have to give the consent again to set the cookie value.